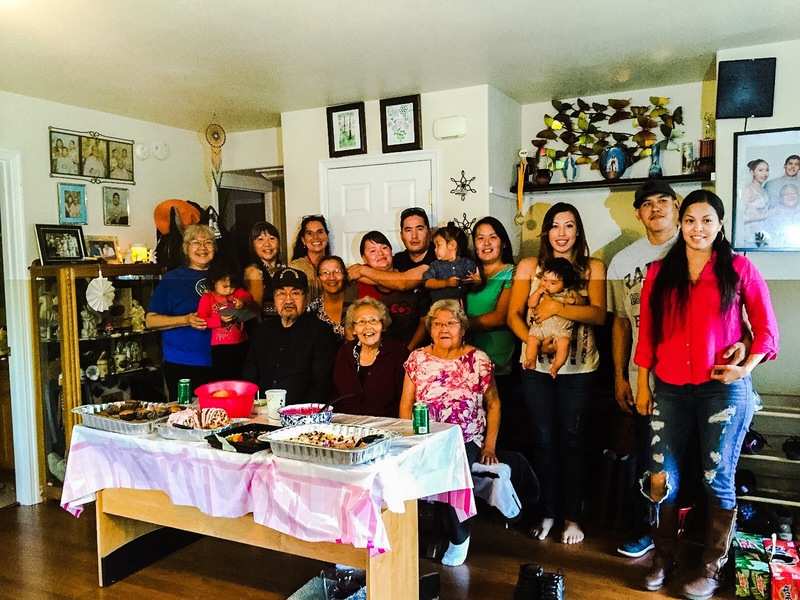 This Athabascan Adoptee Welcomed Home article was republished with permission from the American Indian Indian Adoptees Blog. I’ve always dreamt in Indian. Vivid, lucid, in color and shaded with symbols. On one evening night quest, my body was carried in a stream. The water above and below me flowed horizontally from my head toward my toes. However, my body was carried in a current of its own and moving me ahead. As I approached a steep hill, I began to struggle. My brief panic subsided when I chose not to lose my strength fighting the elements I could not control. I reached deep in cool water with both hands. Wading below were fish that sucked on my fingers and pulled me the rest of the way home. I think I am a Salmon. Instinctively, I was called home. In the year of 2014, I located my cousins and my Koyukon Athabascan tribe. I was welcomed with tears. Even my first cousin, Barb, felt like she needed to have a baby shower for me. When my tax return came in February 2015, the first thing I did was make reservations from Los Angeles to Fairbanks, Alaska and a second reservation with a bush plane to fly me to the village of Koyukuk. The Native Village of Koyukuk lies where the Koyukuk River meets the Yukon River. Koyukuk is about 300 miles from Fairbanks. There is no running water to the cabins and are no roads in and out. I landed in Fairbanks at 12 a.m. The summer sun still shown during mid-July at midnight. I was met by an aunt and several cousins. As I came down the escalator from the terminal, I was welcomed with Athabascan singing, tears and hugs. My first cousin, LaVern, opened her house to me and organized a family reunion for the next evening. Barb took the day off work to spend with me. 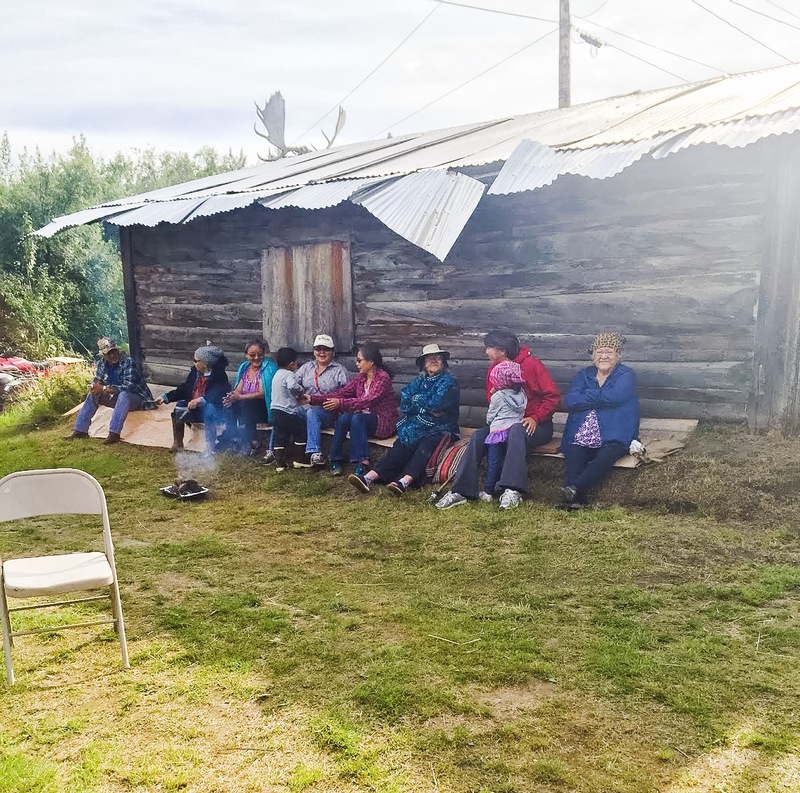 I had my first ever family reunion with people related to me, my first Native food and first stories of my father’s life. A day later, LaVerne flew with me to Koyukuk, where my father lived and died on the river. I cannot begin to explain my emotions at this time. I cried real tears…tears I could not control. I had emotions and questions overcoming my sense of self. Anxiety set in. I began to ask myself…am I crazy? What the hell am I doing flying over 2,000 miles and into the interior of Alaska on a bush plane to meet people and see a way of life that my DNA says I am half of? Am I nuts? I was crying inside the plane before I even got off. I could feel my heart beating fast. I could see my first cousin, Marilyn. I could see Marilyn was just as scared as I was. I could see people arriving to meet the plane on their quads and trucks. Even the unleashed dogs came to welcome. They held a huge banner which read “Welcome” and once again I was serenaded with beautiful voices singing in Athabascan. During my stay, I got to see my cousins, LaVern and Peter, catch salmon on the Yukon. While seining, I was reminded of my dream. I thank the spirit of the Salmon for guiding me home and providing food for our people. I want to go back home now even more than before. I know now first-hand what I am missing and what has been imprinted in me for many generations. My DNA…my endless imprint from past, present to the future which still calls me home. 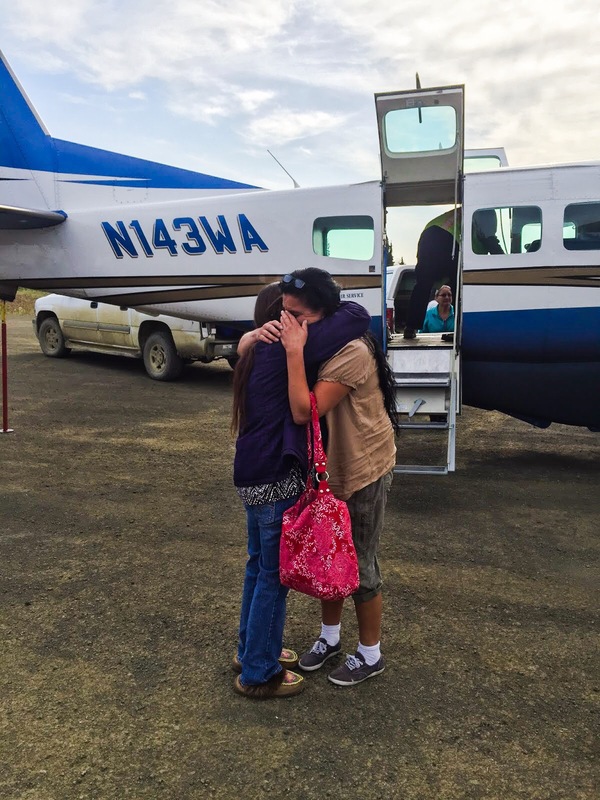 It is this present generation of Native adoptees who need to continue to find our way home. It is you, it is me. We must follow our instinct and swim upstream. Some of us make it, some won’t, but you still need to keep swimming. If you don’t fight back, the predators win. It’s in our DNA and a matter of survival for Natives today and future generations. Trust the forces that pull you through to carry us home. Keep swimming upstream for yourself and all adoptees. Mary contributed to the anthology CALLED HOME: Lost Children of the Indian Adoption Projects. LINK TO BOOK INFO here: https://store.bookbaby.com/book/called-home. Thank you to the American Indian Adoptee Blog for sharing Mary’s story on the Athabascan Woman Blog!